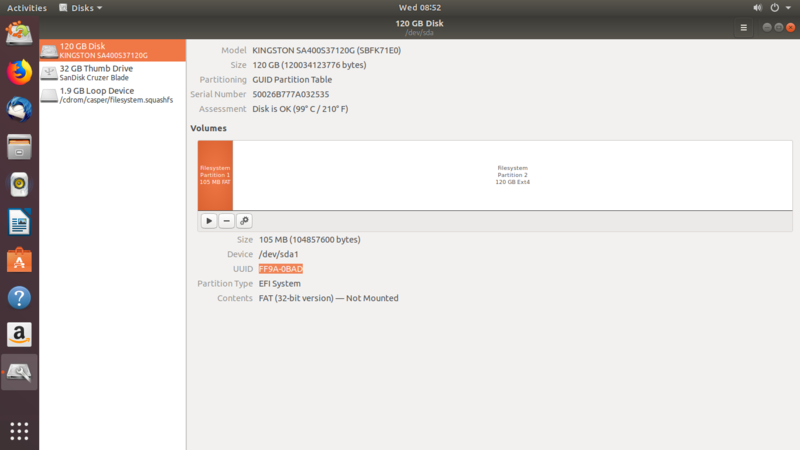 A while back I installed Linux on my SSD, sdb1. I also have a 1 terabyte drive for my home directory, sdc1. I have Windows on another hard drive, sda1, which I haven’t booted into in over 2 years. It is a terabyte in size. I would like to get rid of Windows and utilize that extra space without reinstalling Linux, but Grub is on the Windows hard drive, sda1. What I would like to do is put Grub onto my SSD, sdb1, if possible in order to format the Windows drive, sda1, and have extra space. It is Legacy BIOS on the computer. I have done a trail with my dummy practical computer with one hdd and one ssd. I assume, you have installed windows in UEFI boot mode with gpt partitioning type on your hdd. sda. Since mine is a dummy practical computer, I don't need to worry about backup. I do recommend you to take backup. I have not considered sdc for separate home partition as I don't have other drive free. 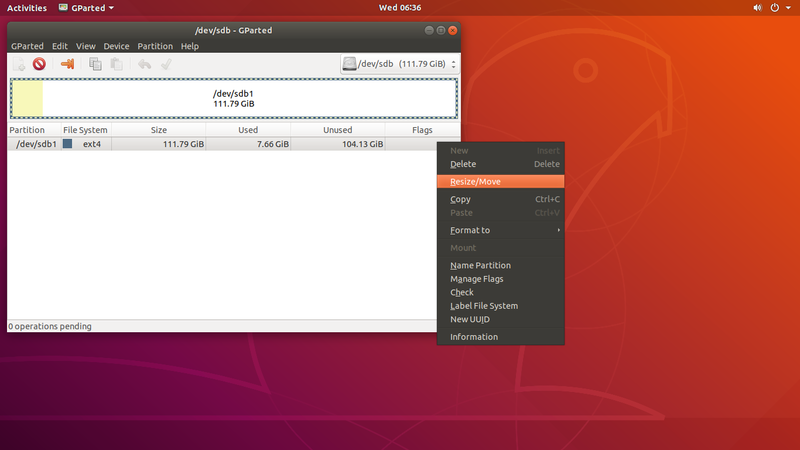 Log on with live session of Ubuntu. Here are my sda-1tb hdd and sdb-120gb ssd. I have windows10 on sda and Ubuntu18.04.1 on sdb. Grub is on sda. You can see windows10 is installed in device sda with EFI partition on sda2. This is what controlling the grub now. Important: this partition sda2 has UUID matched with the text in the file /etc/fstab on device sdb. As we are going to format sda. We need to create EFI System Partition on sdb. 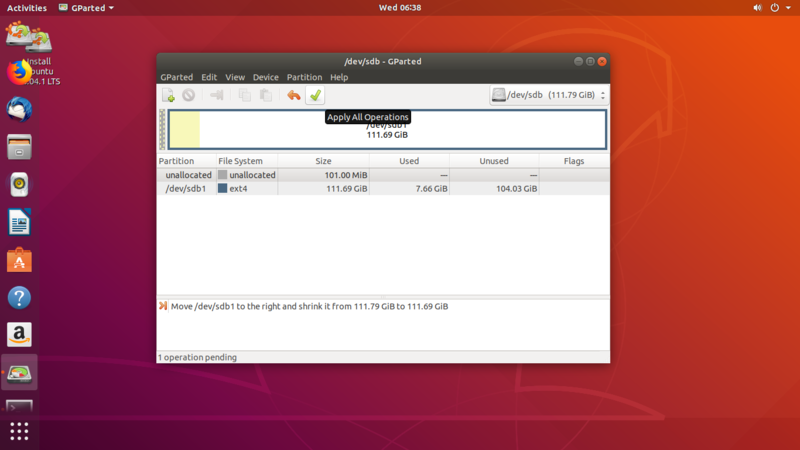 sdb has only one partition sdb1. 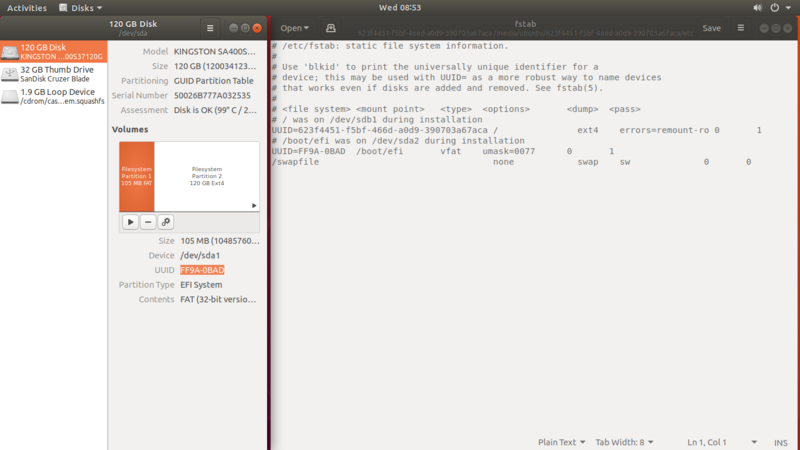 We have to create a EFI partition at start of the disk. Now we got unallocated space of 100mb at start of disk sdb. In order to install grub on this we need it in FAT32 format with boot and esp flags. Now delete the EFI partition (sda2) on sda or you can format entire device sda. 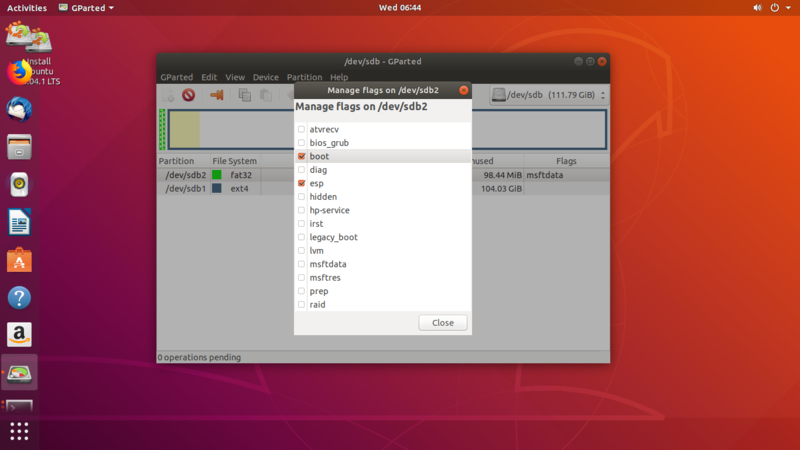 Now we need to install grub on /dev/sdb. 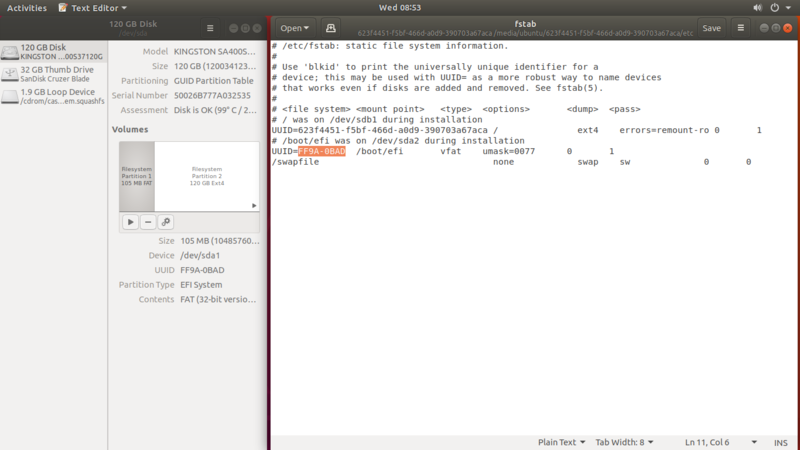 sudo mount /dev/sdb1 /mnt/boot/efi # sdb1 is the EFI partition on sdb. Now we need to know the UUID of freshly created EFI Partition (sdb1) on device sdb. Copy the UUID of sdb1. sudo nano /mnt/etc/fstab. (note: i have used gedit, attached pics are gedit in the below). paste the UUID at the rite place. Replace sdX with the name that is currently assigned to the drive that you intend to use as boot device in the future. Configure your BIOS to boot from the drive with the new Grub installation. There’s no real need to remove the old Grub installation. Not the answer you're looking for? Browse other questions tagged boot dual-boot grub2 hard-drive ssd or ask your own question. 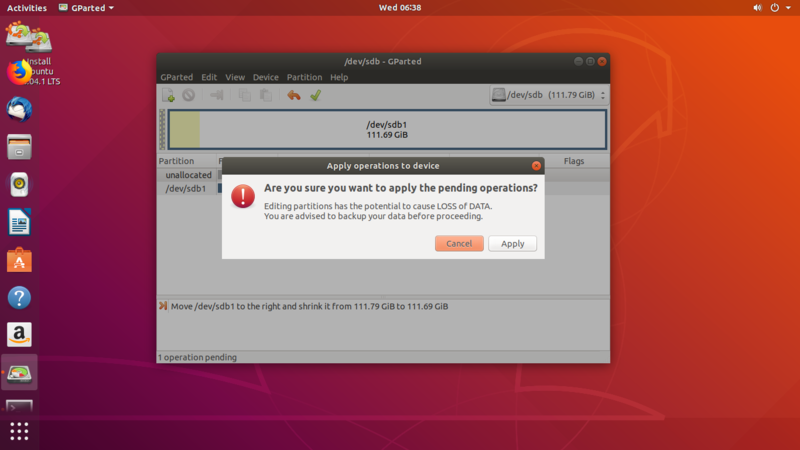 How to restore booting on second Ubuntu-SSD after removing Win10-SSD from dual-boot system? How can i format my hard drive to get rid of windows? Where to install GRUB with two distros on same hard drive?